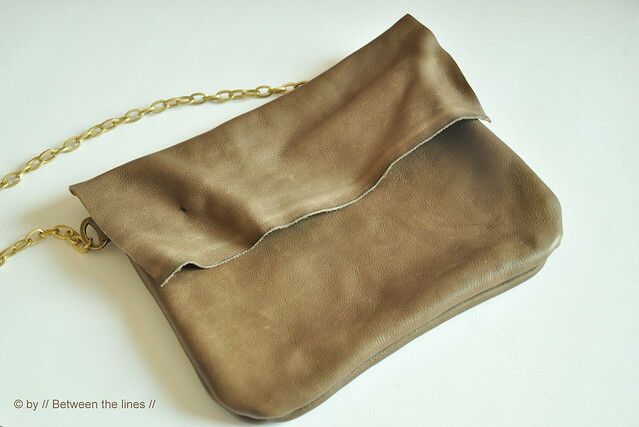 My latest creation: a purse with a chain strap. 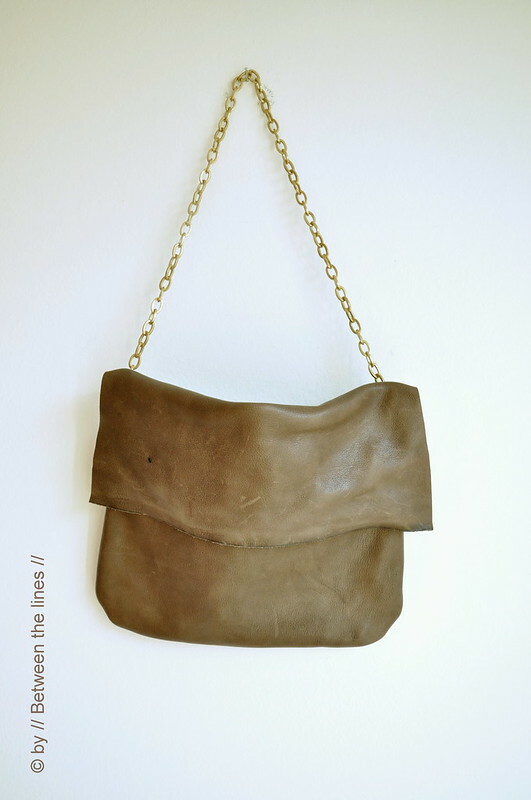 I made this purse from two pieces of leather scrap I had, in a nice weathered brown. 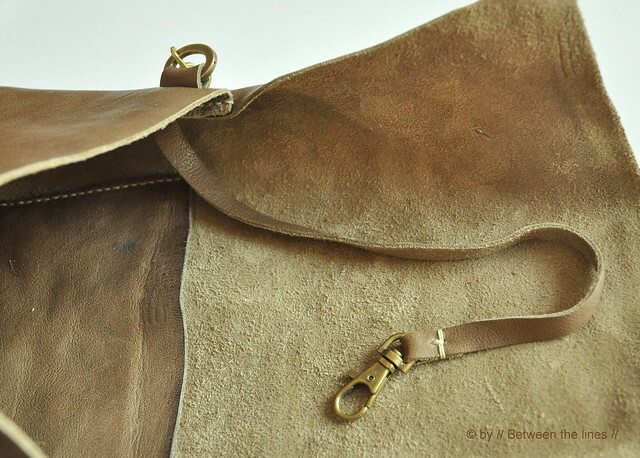 The leather is heavy weight, but turned out to be buttery soft - a dream to work with! For the shape I chose a simple rectangle as I was limited by the small amount of leather I had. 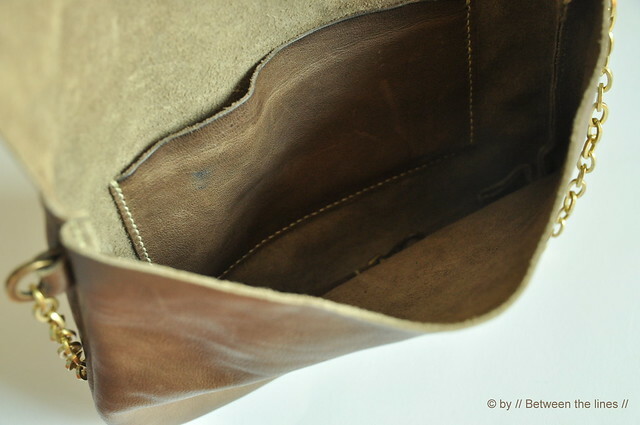 For the flap I kept the rough selvedges and I didn't mind the tiny whole the leather had. On the inside, I made a small pocket (the right size to hold my cell phone) and I added a strap with clasp for holding keys as well. I found the heavy and well made brass chain, at a local jewelry making supply store. It wasn't cheap but well worth it. 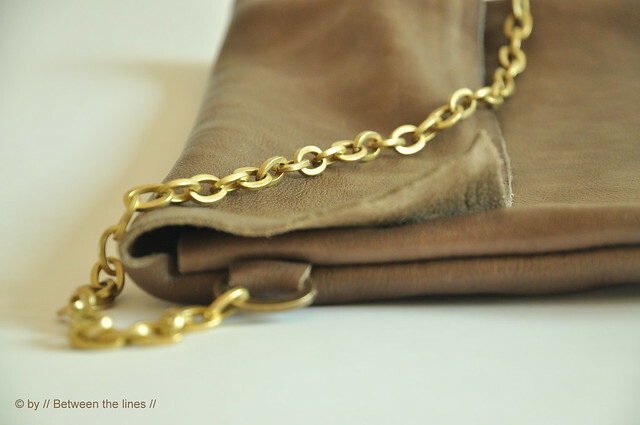 The tabs holding the chain are integrated in the side seams. I'm not sure if I should add any detail on the flap or not, nor if I should add a snap or other closure. I think I will do a test run with the purse as is. I like simplicity and a minimalistic look, especially with nice leather like this. 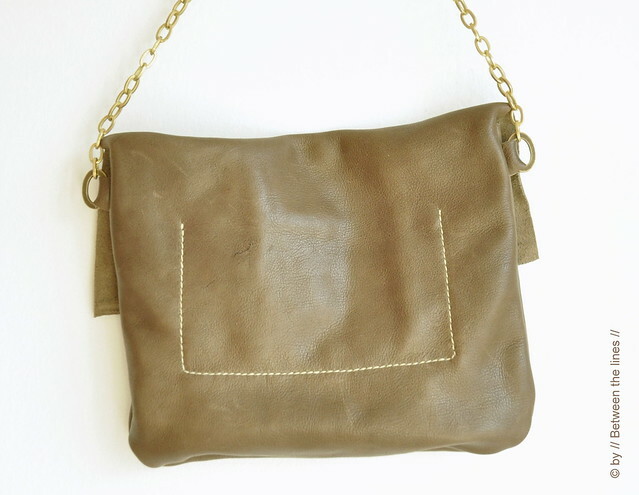 The purse is entirely hand stitched with linen thread. Since the thread wasn't waxed I used beeswax to wax it myself, which worked really well. I will do a post on how to hand sew leather some time soon, going deeper into some tricks and skills and addressing the tools needed.